IT Automation and Why Should You Use It? What Are the Benefits of IT Automation? Being a time-saver is where IT automation offers the most benefits. As Information Age reports, employees lose an average of 19 working days per year to repetitive tasks like data entry and processing—things that could easily be automated. By handling redundant tasks automatically, IT automation eliminates the need for techs to spend hours creating tickets, configuring application systems, and performing other tedious functions. As a result, your team can turn their attention to higher priority tasks. And while that will probably come as a relief to your employees, that’s not where the benefits end. Automating repetitive tasks allows your team to handle more, which enables you to bring on more clients and reduce the need to hire additional employees. In other words, IT automation means you can do more with less. Technology professionals that use IT automation tend to see a weekly billing average in the 40- to 100-hour range, meaning the automation software performs that many hours of human labor per week. Breaking that down, it translates to the work of one to two and a half full-time employees. Unlike employees, the automation system performs at a fixed cost and never takes a holiday or sick leave. It’s always doing its job. Of course, we’re not suggesting that IT automation should replace human employees. Rather, it helps employees perform their jobs with greater power and accuracy. It pushes the boundaries of what your team can achieve. Another benefit of IT automation is simply your peace of mind. As an entrepreneur and/or a manager, it can be hard to hand over all your IT tasks to an employee, and trust that they’ll get the job done. You may feel the need to remind them or check in regularly to see their progress, and that in itself can take up time. With IT automation, all of that is taken care of, which means you can turn your attention to higher pursuits. Many IT automation systems handle everything from one platform, which greatly improves organization and cross-department visibility. You’ll be able to access all the information you need quickly and seamlessly from one location. And you’ll be able to check in with other departments via a few simple clicks. You’ve heard that consistency is key. A good IT automation strategy allows you to provide a consistent customer experience. By monitoring workflow, it also ensures that no steps are missed in the delivery process. Since everything is handled automatically, IT automation also cuts down on response times, leading to quicker customer interactions and a more efficient process from start to finish. Needless to say, consistency and a high level of accuracy really are key to satisfying customers, and an improved customer satisfaction rate means more business for your company. What Are the Risks of Not Automating? Even if you haven’t yet made the decision to automate, you can safely assume most of your competitors already have. Automation is quickly changing the face of the IT world. In a 2017 study by Smartsheet— which surveyed approximately 1,000 information workers—65 percent reported using automation in their daily work, while 28 percent said their company plans to start using automation in the future. Clearly, if you’re not currently using IT automation, you’re already falling behind the competition. Companies using automation have discovered that it saves significant time—and that time translates to money. As an example, let’s look at the time an average IT department pours into reactive tickets. If we assume that a technician creates 20 tickets a day, that’s about 100 tickets per week, or 5,000 per year. If automation would allow a tech to save three minutes per ticket by saving them from manually re-entering information, and the billable rate is $125/hour, that translates to $31,250 a year in savings—per technician. Imagine the difference it could make to your bottom line if all your technicians were leveraging automation. If you’re considering automating a certain task, that task should meet the following criteria: It can be resolved consistently through documented steps; and the solution can be performed without accessing the user interface. Once you’ve decided which tasks to automate, the next step is to decide which automation systems to implement. The prevalence of automation in the IT industry today means there is a plethora of tools available to help you make the switch. Here are some of the most effective automated system solutions for IT teams. RMM (remote monitoring and management) is a software that allows you to monitor devices, networks, and client endpoints remotely and proactively. Like most IT systems, RMM tools are basically automation engines that can reproduce processes and solve cause and effect situations. A bonus of RMM software is that it can monitor client devices and detect issues proactively. RMM will then create a ticket for the issue, and your tech team can address it before the issue even comes to the client’s attention. RMM also allows your team to manage more endpoints, greatly increasing productivity. 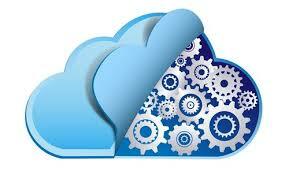 A PSA (professional services automation) is a system for automating business management tasks. By establishing workflow rules, or automated, repeatable processes, you can program the software to perform certain tasks, like reminding clients of contract renewals or license expirations. Status workflow sends a notification when a ticket status changes to a specific value. Escalation workflow defines the steps to be taken based on the conditions of a ticket. Auto resolution workflow keeps tickets from piling up by creating auto-closure timeframes for alerts that are informational or historical. Many companies benefit from combining PSA and RMM solutions. For example, based on the real-time alerts you receive in your RMM software, you can automatically generate and manage service tickets in your PSA software, and thereby respond to customer needs more quickly than ever. Whether or not you need to ticket everything that the RMM software generates is a highly debated topic, but it all comes down to the idea of information. With the right data, you can predict problems before they occur and simplify the troubleshooting process. You’ll have all the info you need about each client, and you’ll be able to see supported devices, service history, and other details. Perhaps best of all, you won’t waste time hunting around for that information. You can simply pull up the ticket and find everything you need, which translates to a faster turnaround and the ability to quickly move on to the next client. Remote support and access software can integrate with RMM and PSA solutions to help you rectify tech issues, track time and activity onto a ticket, and quickly find that information later while auditing. In effect, remote support and access acts as a bridge between you, your end users, and their devices. Provided the endpoint is online, this software allows you to deliver fast and secure reactive services. Remote support and access can help you both work directly with a customer and remotely access unattended devices. It’s a way to solve issues more quickly from a remote location. The average marketer spends nearly one-third of the work week completing repetitive tasks, according to a study conducted by HubSpot. Those tasks include gathering and organizing data, emailing clients, building landing pages, and managing lists. With a marketing automation tool, you can greatly reduce that number and free up your marketers to spend their time and energy on more high-level tasks. Marketing automation can help you easily build emails and landing pages, score new leads for sales readiness, and access and understand your marketing metrics to accurately measure the success of your efforts. The best marketing automation software integrates with your PSA tools for centralized information you can access quickly. With an automated CRM (customer relationship management) system, you’ll be able to set reminders for your sales team, alerting them to complete tasks like following up with prospects so they can move steadily through the sales funnel, and close deals on track. Also known as a CPQ (configure, price, quote) tool, quote and proposal automation imbues your sales process with greater visibility and accountability. Think of it as a second brain for your sales team—empowering you to turn leads into happy new clients. With pre-defined templates and pricing models, you’ll achieve a high level of consistency across your sales team. You’ll also save yourself the time of manual calculations, especially if you offer clients the same markup with each quote—and you’ll eliminate the risk of making a costly miscalculation. Plus, pricing integrations allow you to find and incorporate hardware pricing in seconds, without taking the time to manually check different sources and pull the results into your proposal. After successfully implementing IT automation software, your work isn’t done. It’s important to also document your automation campaign, for a number of reasons. For one thing, documentation will help significantly when you need to train new team members. And if one of your staff takes a vacation or sick day, clear documentation ensures the rest of your team will be able to quickly fill in. Documentation will also help your clients see the value of your services. As they assess whether your service is cost-effective or not, a deciding factor can be the efficiency with which you run your business. If you’re using industry-leading automation to run the most effective business possible, that gives you a competitive advantage. And if you’ve documented your automation from beginning to end, you’ll have a record of improvements and stats you can rely on to help inform clients of your company’s high standards. It’s also important to be aware of the new capabilities automation brings. For instance, if you can tell a client that you proactively monitor for low disk space on their servers and workstations, and that you’ll automatically free wasted drive space to avoid system outages, you’ve already made an impression. The main point to get across to clients is that your team is constantly looking for ways to provide more proactive and efficient IT solutions. When used and communicated effectively, automation can be key to achieving that element of trust that leads to delighted clients and fulfilled team members. http://www.netcal.com/wp-content/uploads/2018/08/download-2.jpg 175 289 Conal Mullan http://www.netcal.com/wp-content/uploads/2015/11/netcal_logo2.gif Conal Mullan2018-08-29 08:22:312018-08-29 08:23:41IT Automation and Why Should You Use It? Modern cyber threats are evolving at an alarming pace. Today’s thieves are constantly devising new tactics, angles, and technologies that can be used to victimize your customers—everything from malicious mobile apps to phishing emails and malware, and the consequences can be costly. Last year, the FBI estimated that criminals would net $1 billion in ransomware profits alone. To truly ensure your customers are safe from these increasingly complex attacks, they need multiple defense layers to protect against every tactic at every attack stage. Here are a few essential layers that should be a part of any successful cyber security strategy. Cyber criminals are more organized and better educated than ever before. This means they’re increasingly savvy in implementing multistage, multi-vector attacks. Multi-vector protection ensures that your customers’’ endpoint security covers threats that cross multiple vectors, through multiple stages, reducing the opportunity for cyber criminals to successfully breach their networks. In many cases, by the reports made by this IT support company in London, the weakest links in a security strategy are the very same end users it’s intended to protect. In order to ensure end user behaviors don’t jeopardize the security of business networks, effective domain-level protection is a must. Using a cloud-based, web accessible security layer protects a TSP’s customers by reducing the flow of malware into the network by up to 90 percent. Plus, it gives TSPs granular control of all users’ internet activities, blocking dangerous websites automatically, and placing others under real time policy control. According to the Verizon Data Breach Investigations Report, phishing—a practice in which cyber criminals impersonate a legitimate company to steal personal information or login credentials—was behind 90 percent of security breaches in 2016. Plus, thanks to an increasingly mobile workforce, an organization’s data often leaves its secured network perimeters, creating a major vulnerability. For these reasons, implementing a recurring and continuously updated security education program is more important than ever to help end users remain current on increasingly sophisticated and realistic phishing attempts. Patching ensures that your customers’’ systems are up-to-date making it more difficult for the majority of hackers to penetrate. Regularly scanning for vulnerabilities in your customers’ environments can help you determine if patches are necessary. It’s a low-cost practice that can dramatically improve security. Backups are essential for remediating malicious activity and eliminating the effectiveness of ransomware. Having a regular backup in place also addresses concerns about whether your customers have ready access to the latest versions of their applications and data. This is critical for organizations that must meet certain compliance mandates such as HIPAA or PCI-DSS. 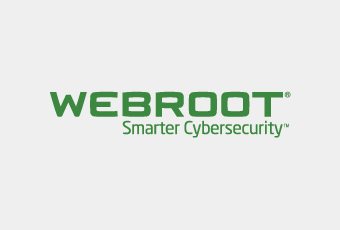 Webroot SecureAnywhere® solutions specialize in providing all the layers of security you need to protect your customers from complex, zero-hour cyber threats. In recent news there have been a number of serious vulnerabilities found in various Linux systems. Whilst OS vulnerabilities are a common occurrence, it’s the nature of these that have garnered so much interest. Linux patch management should be considered a priority in ensuring the security of your systems. The open-source Linux operating system is used by most of the servers on the internet as well as in smartphones, with an ever-growing desktop user base as well. Open-source software is typically considered to increase the security of an operating system, since anyone can read, re-use and suggest modifications to the source code – part of the idea being that many people involved would increase the chances of someone finding and hopefully fixing any bugs. With that in mind let’s turn our sights on the bug known as Dirty Cow (CVE-2016-5195) found in October – named as such since it exploits a mechanism called “copy-on-write” and falls within the class of vulnerabilities known as privilege escalation. This would allow an attacker to effectively take control of the system. What makes this particular vulnerability so concerning however isn’t the fact that it’s a privilege escalation bug, but rather that it was introduced into the kernel around nine years ago. Exploits already taking advantage of Dirty Cow were also found after the discovery of the bug by Phil Oester. This means that a reliable means of exploitation is readily available, and due to its age, it will be applicable to millions of systems. Whilst Red Hat, Debian and Ubuntu have already released patches, millions of other devices are still vulnerable – worse still is the fact that between embedded versions of the operating and older Android devices, there are difficulties in applying the updates, or they may not receive any at all, leaving them vulnerable. — It can be used to store an executable file with the bit “SetUID” enabled. Which can later be used to escalate privileges by a local user. — If the boot is not secured, then it would be possible to replace the kernel and the initrd image. Denial of service: The attacker can delete the information on all the disks, causing downtime of the system in question. Whilst many believe the severity and/or likely impact of this vulnerability has been exaggerated considering you need physical or remote console access (which many cloud platforms provide these days), what makes it so interesting is just how it is exploited. All you need to do is repeatedly hit the Enter key at the LUKS password prompt until a shell appears (approximately 70 seconds later) – the vulnerability is as a result of incorrect handling of password retries once the user exceeds the maximum number (by default 3). Access to all interfaces – where an attacker can plug in any devices including USB, Ethernet, Firewire etc. such as computers used in public facilities like libraries and internet cafes. Access to front interfaces – usually USB and the keyboard, such as systems used to print photos. Access to a limited keyboard or other interface – like a smart doorbell, alarm, fridge, ATM etc. Their point is that the risks are not limited to traditional computer systems, and that the growing trends around IoT devices will increase the potential reach of similar attacks – look no further than our last article on DDoS attacks since IoT devices like printers, IP cameras and routers have been used for some of the largest DDoS attacks ever recorded. This brings us back around to the fact that now, more than ever, it’s of critical importance that you keep an eye on your systems and ensure any vulnerabilities are patched accordingly, and more importantly – in a timely manner. Linux patch management should be a core consideration for all IT systems, whether they are servers or workstations, and of course regardless of the operating systems used. Simply put, patching is important because of IT governance. As a corporate IT department, you’re held responsible when viruses affect users or applications stop working. It becomes your problem to solve. Securing your organization’s end points against intrusion is your first line of defense. With an increasing number of users working while mobile, simply securing your network through firewalls doesn’t account for company data that’s been taken outside your network perimeter. Proper patching is the best start to securing those devices. Most IT professionals pay attention to security and patching their users’ systems, but how many have a well-honed patch management policy? Patch management is often seen as a trivial task by end users—simply click ‘update’. For administrators, there’s a lot more to it, and a proper policy is certainly not overkill. But what should a patch management policy include apart from deploying patches? Read on to learn how to implement patch management policies, processes and persistence. The first step in developing a patch management strategy is to develop a policy that outlines the who, what, how and when of patching your systems. This up-front planning enables you to be proactive instead of reactive. Proactive management anticipates problems in advance and develops policies to deal with them; reactive management adds layer upon layer of hastily thought-up solutions that get cobbled together using bits of string and glue. It’s easy to see which approach will unravel in the event of a crisis. The goal of patch management policy is to effectively identify and fix vulnerabilities. Once you’re notified of a critical weakness, you should immediately know who will deal with it, how it will deployed and how quickly it will be fixed. For example, a simple element of a patch management policy might be that critical or important patches should be applied first. Information comes to you about a newly released patch meant to address a product defect or vulnerability. These notifications can originate from a number of places—LabTech, Automatic Updates, Microsoft’s Security Notification Service. It all depends on which tools you use to monitor and keep your systems up-to-date. In this chapter, we’ll talk about a number of 2 proven tools you can use to manage patching notifications. Policies are useless and processes are futile unless you persist in applying them consistently. Network security requires constant vigilance, not only because new vulnerabilities and patches appear almost daily, but because new processes and tools are constantly being developed to handle the growing problem of keeping systems patched. Effective patch management has become a necessity in today’s information technology environments. • Vendor requirements to patch vulnerabilities via the release of patches. 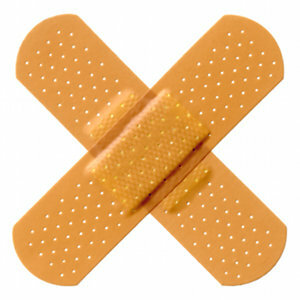 These points illustrate the need to constantly apply patches to your IT environments. Such a large task is best accomplished following a series of repeatable, automated best practices. Therefore, it’s important to look at patch management as a closed-loop process. It is a series of best practices that have to be repeated regularly on your networks to ensure protection from exposed vulnerabilities. Microsoft updates arrive predictably on Patch Tuesday (the second Tuesday of every month), which means you can plan ahead for testing and deployment. You can get advance notice by subscribing to the security bulletin, which comes out three business days before the release and includes details of the updates. The following is a list of currently available resources you can use when augmenting your patch process, as well as some that can keep you informed of patch-related updates that fall outside the scope of Microsoft updates. It is important to ensure timely installation of patches, so security holes remain closed not only in the Windows operating system, but also in software products that are used on desktops and servers. A third-party patching tool such as App-Care or Ninite can be used for obtaining, testing and deploying updates to third-party applications. Be sure to look for a third-party patching tool that integrates seamlessly with your client management platform for increased automation and efficiency. Patch management is a critical process in protecting your systems from known vulnerabilities and exploits that could result in your organization’s systems being compromised. Viruses and malware are just two examples of aggressors that take advantage of these weaknesses and can be especially destructive and difficult to correct. Patches correct bugs, flaws and provide enhancements, which can prevent potential user impact, improve user experience and save your technicians time researching and repairing issues that could have already been resolved or prevented with an existing update. Users generally understand that their systems need to be patched, but they often do not have the expertise to comfortably approve and install patches without help. Developing best practices to manage the risks associated with the approval and deployment of patches is critical to your IT department’s service offering. Patching is vital to securing systems from known vulnerabilities, but it’s also a risk that can bring down those systems if you deploy a bad patch. In order to maintain the proper risk balance you should focus on patches that close vulnerabilities. Even once you establish your risk balance, you are continually under the threat of a CNN story about the latest vulnerability and the unexpected patch that must be deployed to close it. Building repeatable processes that solve this security/availability balance keeps your systems secure and keeps you ahead of emerging threats. Hacking has evolved into an organized business looking for the fastest way to exploit as many systems as possible. Secunia’s 2014 Vulnerability Review calls out that 76% of vulnerabilities are related to third party applications, outnumbering Microsoft applications such as Office (16%) and Windows (8%). The 95/5 rule is the theory that the majority of patches approved for deployment will apply to most of the systems you manage. The trick is identifying and managing the 5% of exceptions. Although it is tempting to handle patch approval on individual computers, building groups or policies to handle exceptions is the more scalable solution. Your next step is to identify systems with unique patching requirements and apply exceptions to those systems. If you know a line of business application will fail if an MS-SQL service pack is installed, being able to identify a new system with the same line of business application and automatically deny that service pack avoids a potential service outage. Most organizations have default approval policies for common patch categories such as critical updates, security updates, language packs and drivers. Being able to automatically approve or deny patches based on category will reduce the number of patches you need to review each Patch Tuesday. With third party applications this becomes more critical as the release cycles for third party applications can reoccur randomly throughout the month. Blindly pushing patches to all systems without validation can be a recipe for mass disaster. Microsoft has had several patches in the past year that have had an adverse impact, forcing those that did not test to remove them or deal with the impact. Once you are ready to install, avoid patching critical systems all at the same time. You can minimize outages by patching higher risk systems prior to internal systems, patching based on server role to solve for dependencies between servers, or by staggering deployment to different locations within the company. While staggering the deployment of patches to avoid outages, you must also balance the risk of systems that remain unpatched and vulnerable. These patching best practices are meant for you to adopt and mold to fit your business. The policies you implement should solve for the requirements of your business and the systems you manage. Once you have defined your patching policies, implementing them on regular basis each month is the key to success. This article was provided by our partner Labtech who provide third party patch management tools to service providers.